IDX or Internet Data Exchange allows participating Brokers to display each other’s listings on their personal or corporate websites, commonly through a search tool. To enable this feature, participating Brokers must authorize their office and Agents, as well as opt-in those listings to appear on the Internet. IDX is considered advertising by the Department of Real Estate and therefore must abide by DRE Rules and Regulations. San Diego MLS has adopted the DRE’s rules on IDX and can be found in San Diego MLS’s Rules and Regulations, Section 12.16. There are 3 options to choose from when requesting IDX through San Diego MLS. Third Party/Raw Data Solution – Most common IDX solution used by San Diego MLS subscribers, utilizes a 3rd party IDX provider. Use an established data vendor that has developed a search engine with San Diego MLS IDX/RETS data. Vendors will typically provide a link or widget/plug-in for your website that populates the search function. Some vendors also provide website hosting services with their IDX products. Note that – features and prices vary from vendor to vendor. You may encounter a data company not established as a San Diego MLS data vendor, but know that we can get them setup with a vendor account and access to RETS to configure your IDX search solution. Paragon Smart Frame Link Solution – A simple searching engine that uses live, real-time data from the Paragon system. Any new listings, photos or changes will be available as soon as the listing, photo or change is entered into Paragon. This solution comes in the form of a link that you copy and paste into the back-end of your website which then populates the framed search engine – it may be placed on multiple tabs or pages on your website. To demo the Smart Frame link solution, please visit:Sample IDX. Please be aware that you are not allowed to provide your clients with access to Paragon, nor can you paste Paragon listing links into your website. Premier IDX Mapping Solution by Humanity Software – Premier IDX utilizes a Google map interface to display listings within San Diego County. This solution is more advanced and includes a number of great features such as live traffic data, street-level views, download website leads, unique downtown San Diego map searching, commercial blueprint floor plans, and more! You may plug-in the Premier solution to your already existing website or contact Humanity Software directly for website hosting services information. Yes. In addition to the DRE and San Diego MLS’s Rules & Regulations on IDX Section 12.16, we have a list of minimum requirements for all websites enrolling with an IDX solution. Each request for IDX must undergo a website compliance review. Where applicable, the listed items must be in place to grant official IDX approval. San Diego MLS IDX minimum requirements lists. No. IDX allows a Broker to opt all of his/her listings out of the IDX program. In addition, listings can be individually opted out if a seller requests that their property not be advertised or displayed on the Internet. Unfortunately, not all of the “opt out” fields can be used in a search thereby allowing non-IDX listings to be in your search results or download. CAN I DISPLAY A FEW SELECT LISTINGS ON MY WEBSITE THAT ARE NOT MINE? CAN AN AGENT HAVE AN IDX WEBSITE? CAN RECIPROCAL AGENTS ADVERTISE San Diego MLS IDX LISTINGS? No. Only regular/full San Diego MLS Subscribers (through an Association of REALTORS® in San Diego) can apply for IDX through San Diego MLS. DOES San Diego MLS RECOMMEND IDX VENDORS? No. San Diego MLS does not recommend any IDX vendors nor do we have preferred vendors. 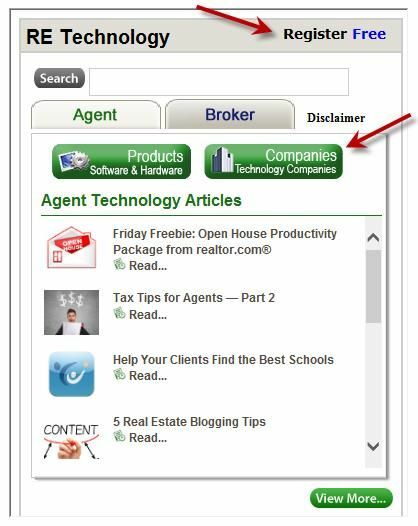 We do suggest that you view other Broker/Agent IDX websites (most vendors will display their company name toward the footer of the IDX page or search engine) or ask other real estate professionals for a recommended IDX provider. It is beneficial to first test-drive the different IDX vendors’ products.